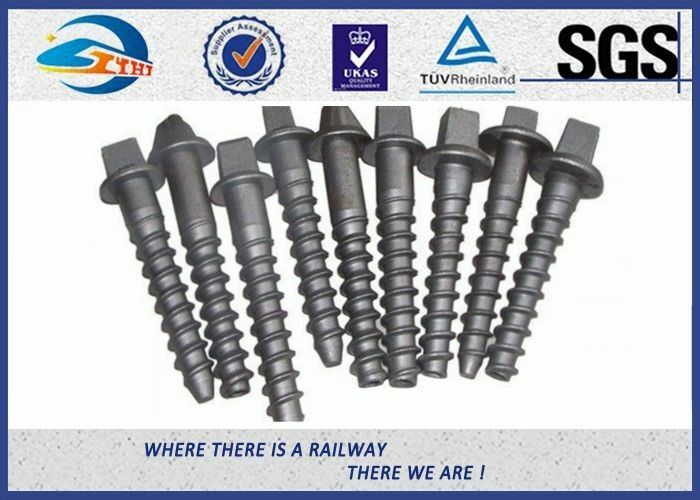 Rail sleeper screw spikes are used to fasten sole plates and ribbed base plates to wooden sleepers. 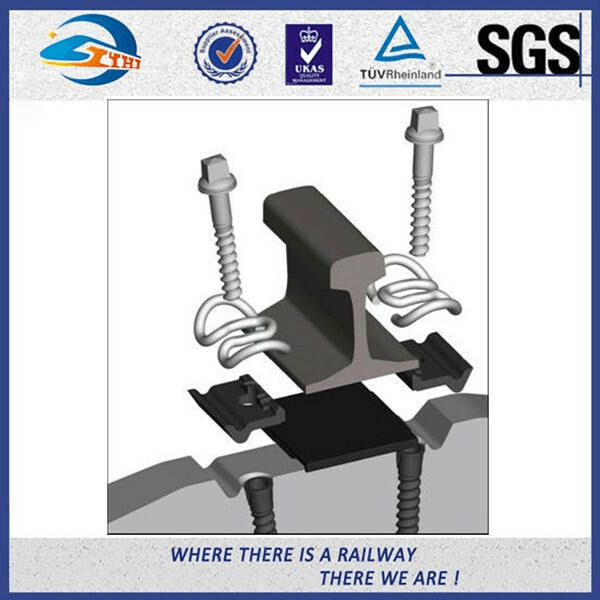 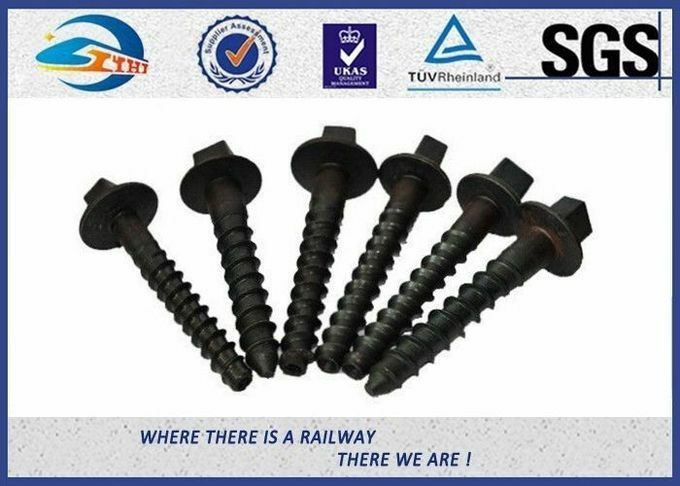 In rail construction with the concrete sleepers, the rail sleeper screw is used in combination with a plastic dowel pressed in the concrete sleeper, indirect or direct fastenings of rails on concrete and wooden sleepers. 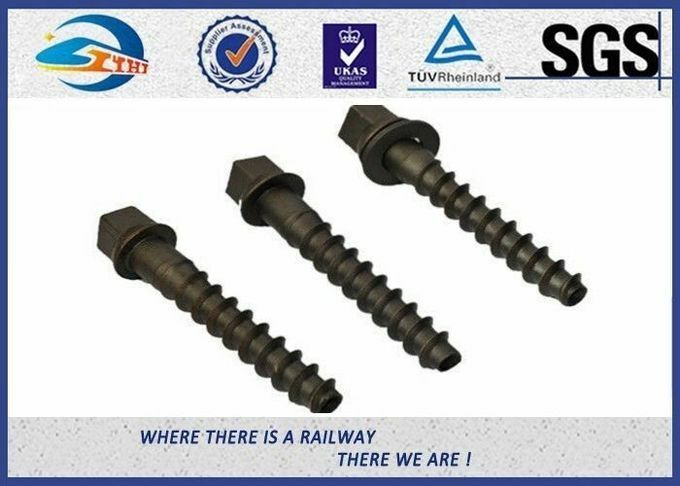 Characteristically, the sleeper screw thread may only be produced in a hot-forming operation. 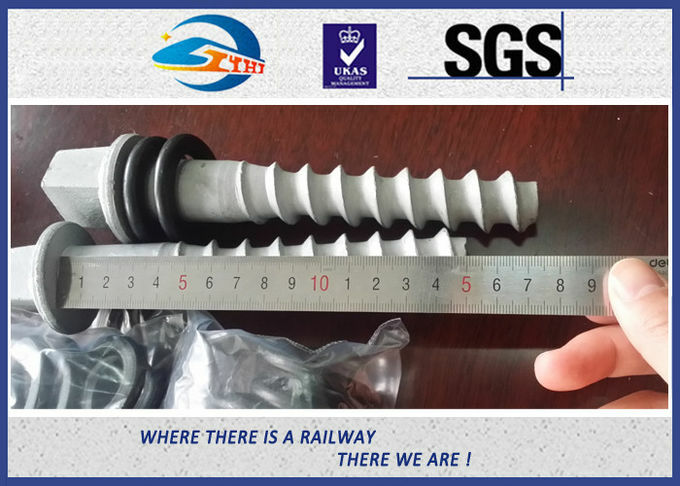 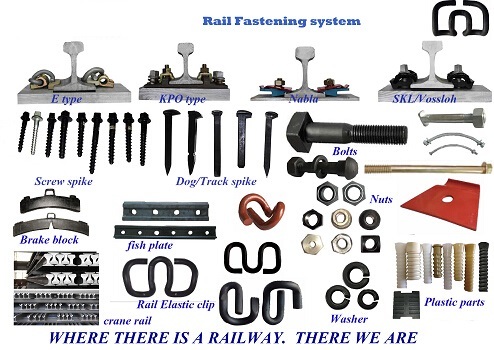 The different shapes of the head correspond to the pass form of the respective spanner used for fastening and loosening of therail sleeper screws.ZHONGYUE can supply a range of rail sleeper screw spikes manufactured to international standardsaccording to BS, ASTM and DIN, among others. 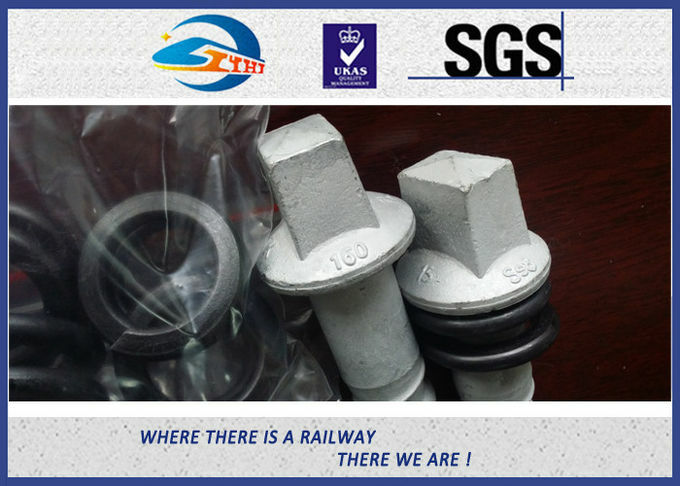 ZHONGYUE has extensive experience in the rail industry and a high level of expertise in this specialized field. 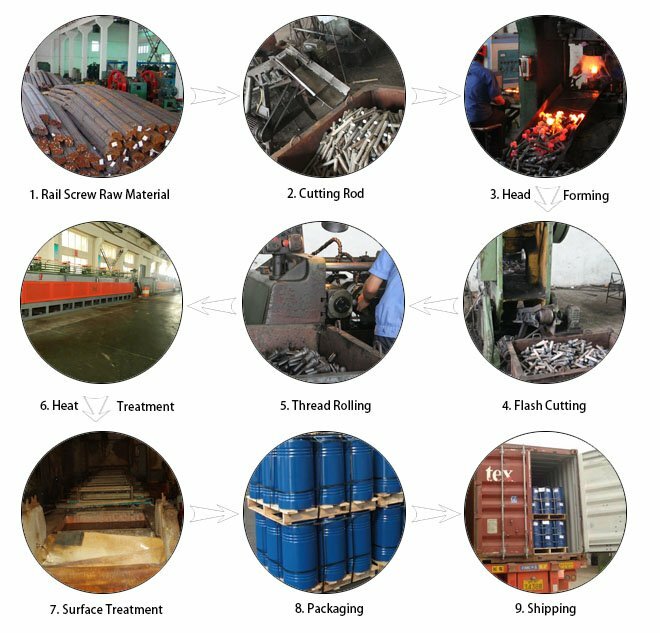 ZHONGYUE can manufacture any quantity, big or small, and offers a range of finishes including hot dipped galvanized, black, sherardized or self color for the budget conscious. 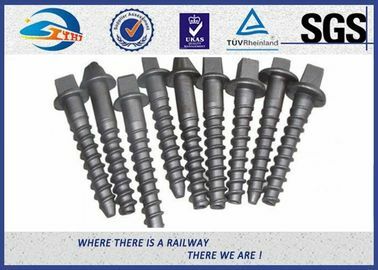 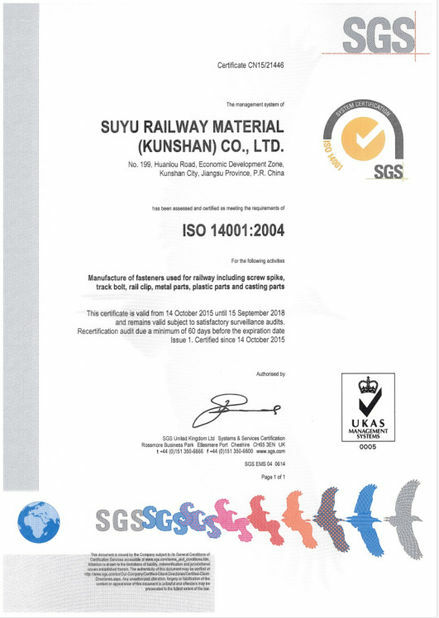 Founded in 2013, located at No.199 Huanlou Road, development zone Kunshan city, we Suzhou Zhongyue Railway Material Co., Ltd. Is a leading and reputed manufacturer of qualified railway fasteners in China.